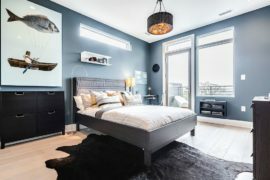 There are some color combinations that never go out of style and look as relevant today as they did several decades ago. 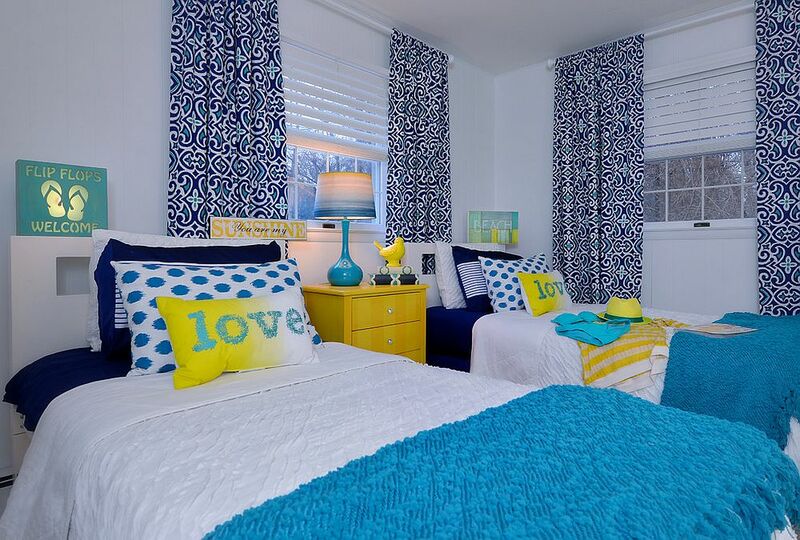 The classic duo of yellow and blue fits this billing perfectly, as this is a color scheme that seems to blend in with a wide variety of styles and works equally well in both large and small spaces. 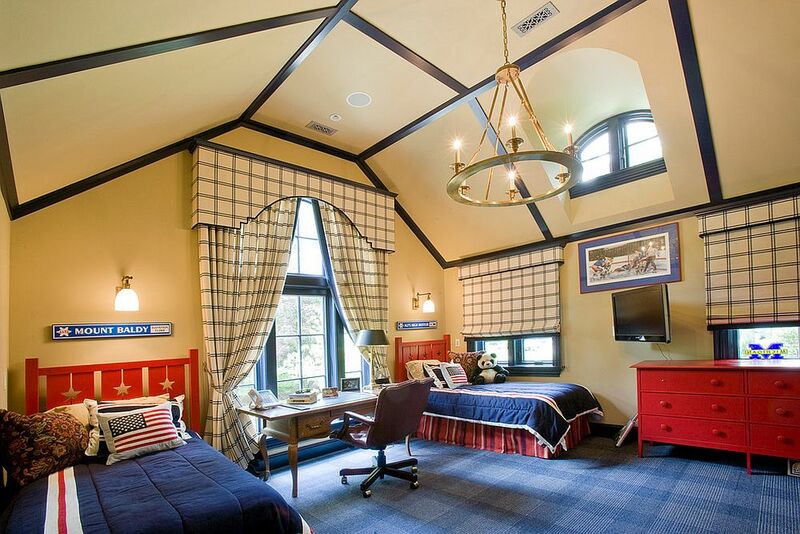 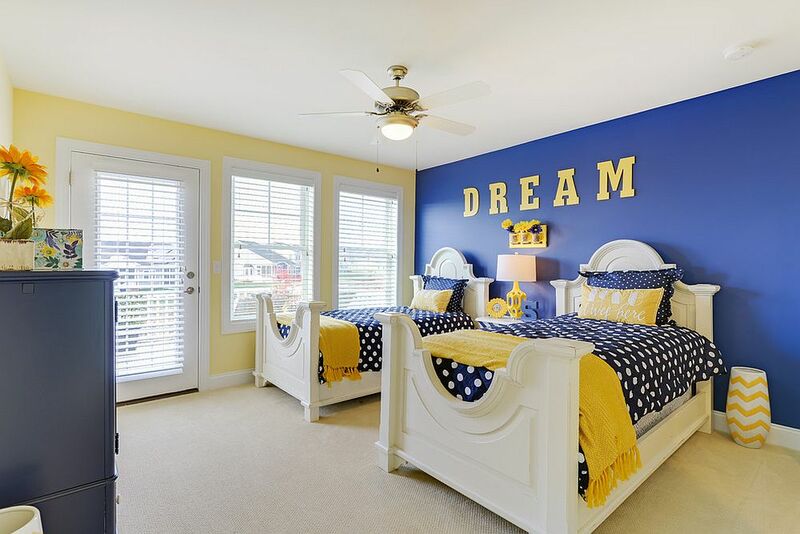 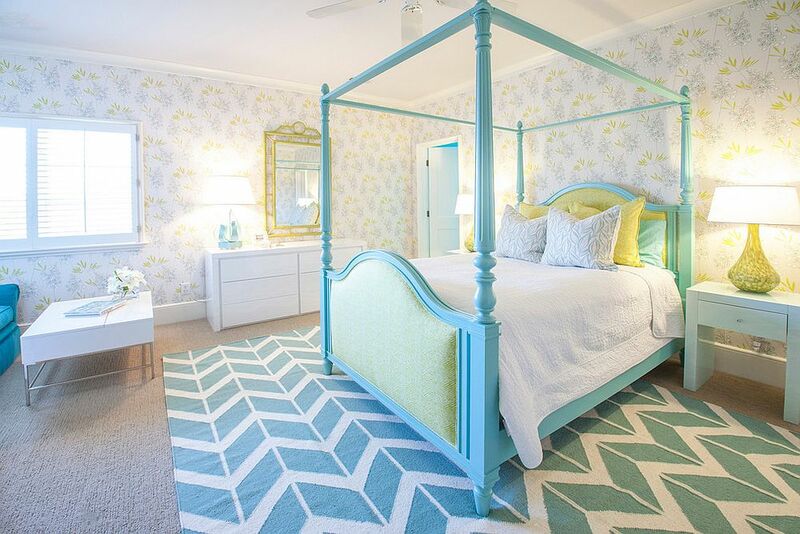 It is barely a wonder that kids’ rooms draped in blue and yellow look absolutely fabulous when done right. 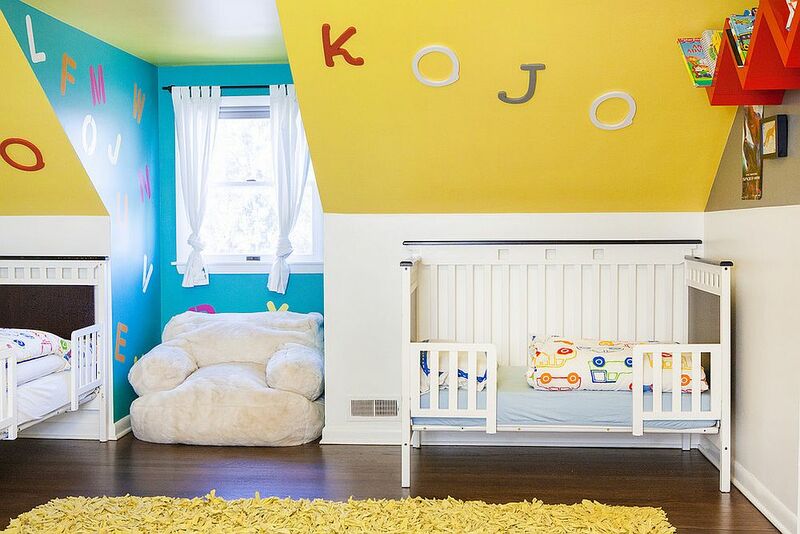 Part of nature’s vibrant canopy, this pairing reminds us of the clear sky on a lovely day, a field of sunflowers at dawn or even a dreamy beach setting at dusk; yellow and blue blend refreshing brightness with soothing charm! 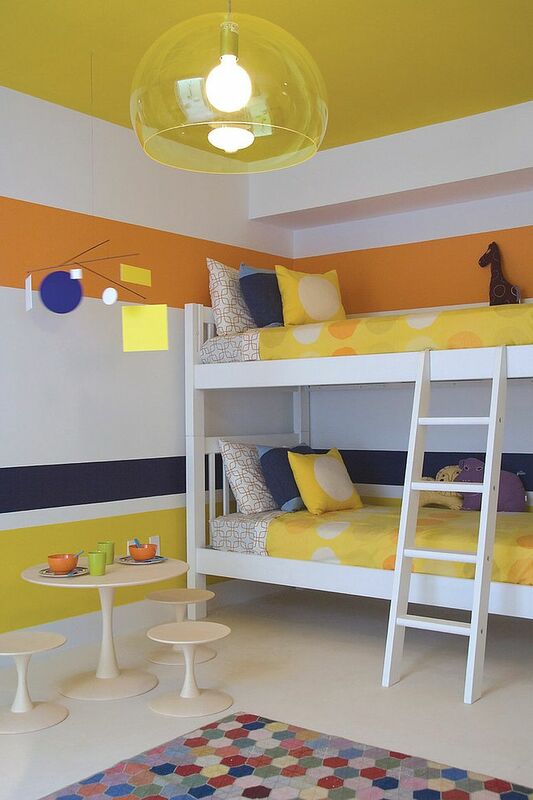 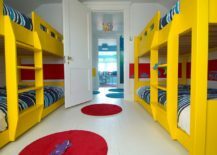 Depending on the style you are after, there are many different ways that blue and yellow kids’ rooms can be crafted. 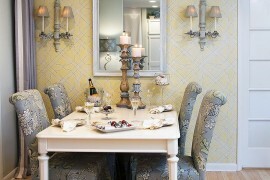 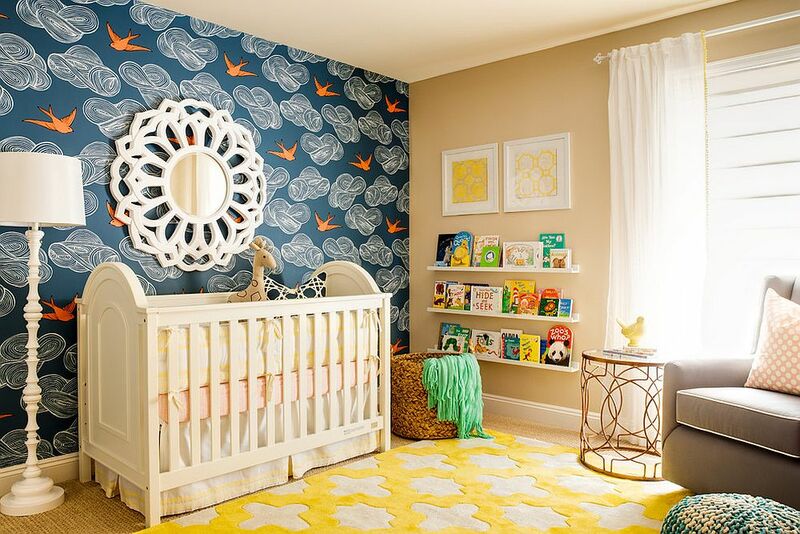 How you create the room will also depend on the whims and fancies of your little one. 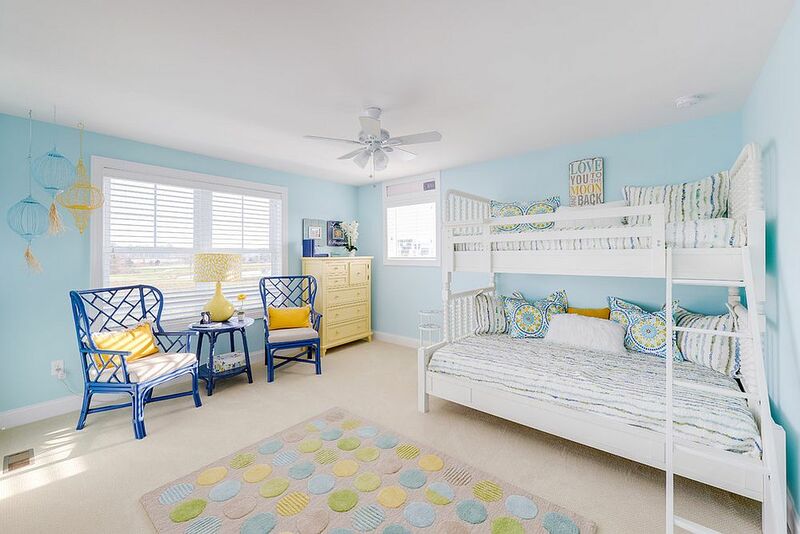 From cheerful kids’ bedrooms and nurseries to fashionable teen rooms that can easily morph into adult bedrooms, this is a color palette that does it all. 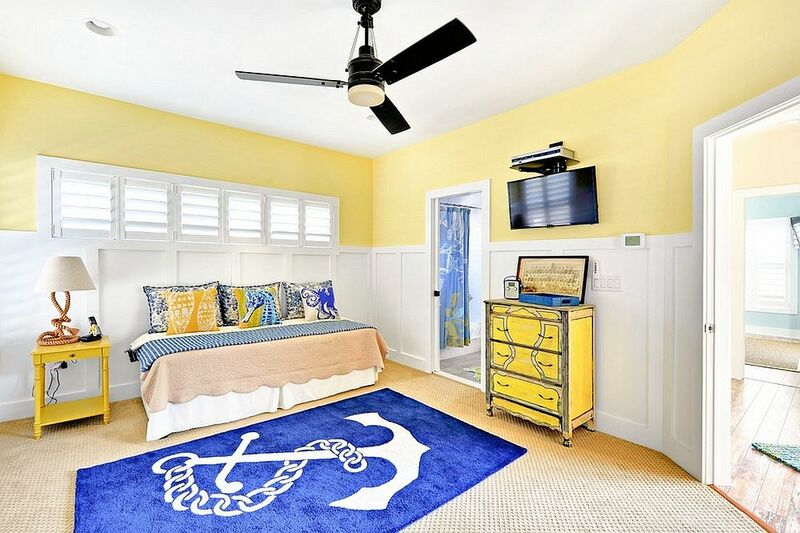 Yellow and blue is a color combination that seems to work best with a beachy, coastal style that is both elegant and breezy. 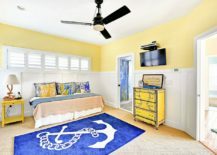 It is barely a surprise, as the colors of sun, surf and sand can be easily translated into a color palette using the many shades of yellow and blue. 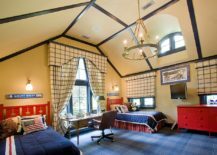 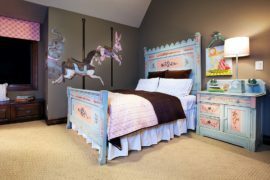 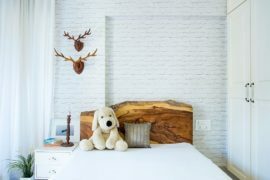 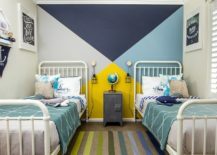 You can give this look a fun twist by adding modern, nautical or even industrial elements to ensure that the bedroom of your child is both unique and exceptional. 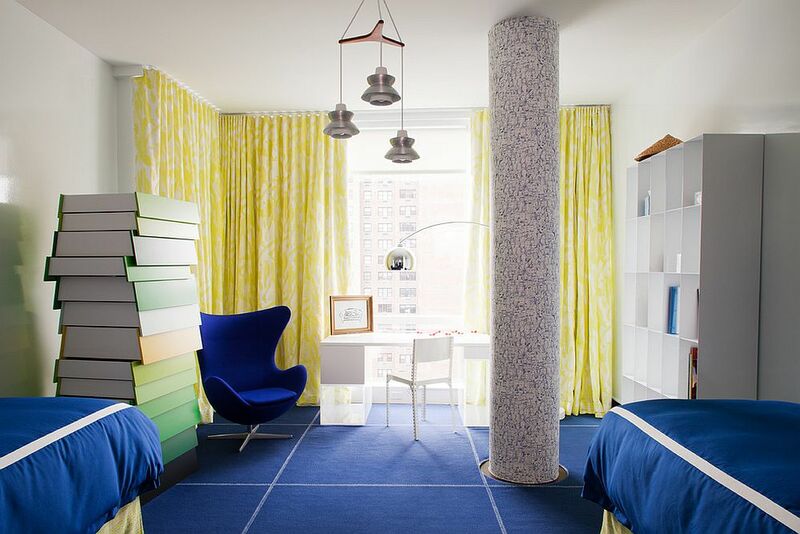 Bright shades of yellow in the modern bedroom work best when used in moderation, while blue is often the dominant hue along with white in these refined spaces. 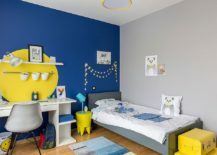 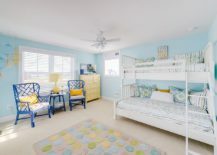 While finding a balance between yellow and blue in the kids’ bedroom is not too hard, most homeowners seem to be far more comfortable with blue as the dominant hue in the room. 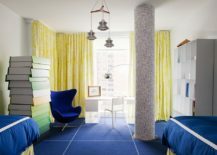 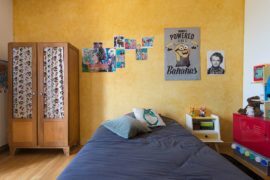 This could very well be because of the popularity of blue in boys’ bedrooms or just the fact that brighter shades of yellow create a setting that is far too ‘vibrant and loud’ for a relaxing bedroom. 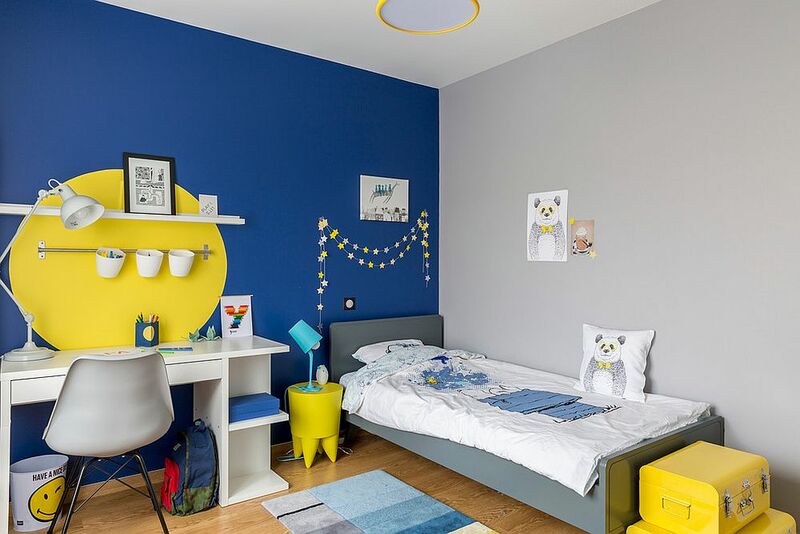 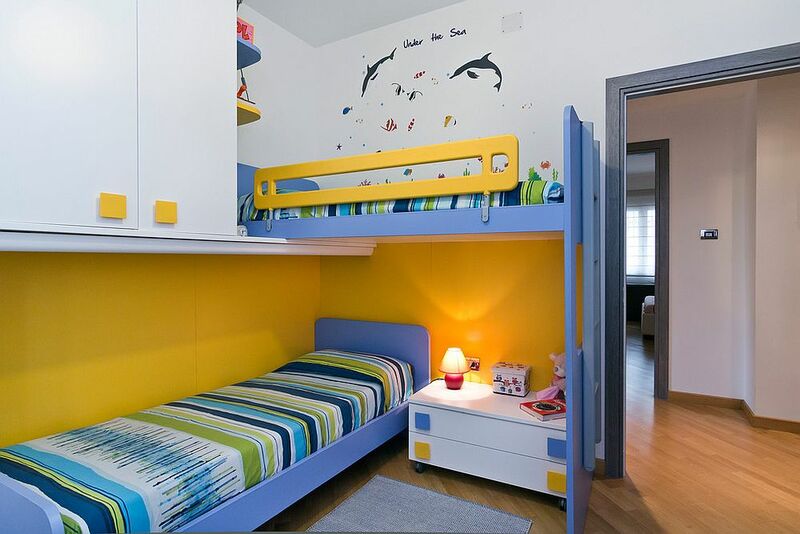 Irrespective of the reason behind the choice, those wanting to drape the bedroom of their child in light and pastel hues of blue can still add a striking splash of yellow with accents and decor. 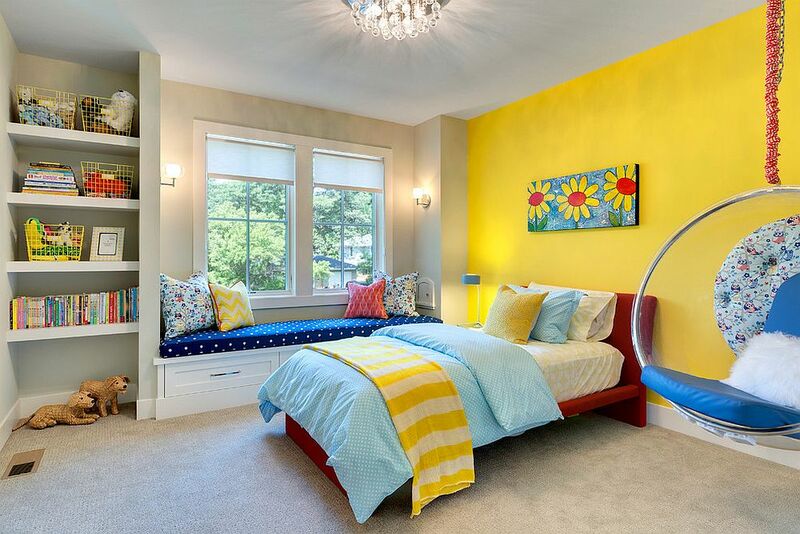 Whether you choose beautiful yellow bedding and throw pillows, stylish table lamps in golden yellow, drapes in daffodil yellow or even a dashing rug in canary, make sure that you repeat this accent hue elsewhere, and keep the backdrop as muted as possible for the best visual impact. 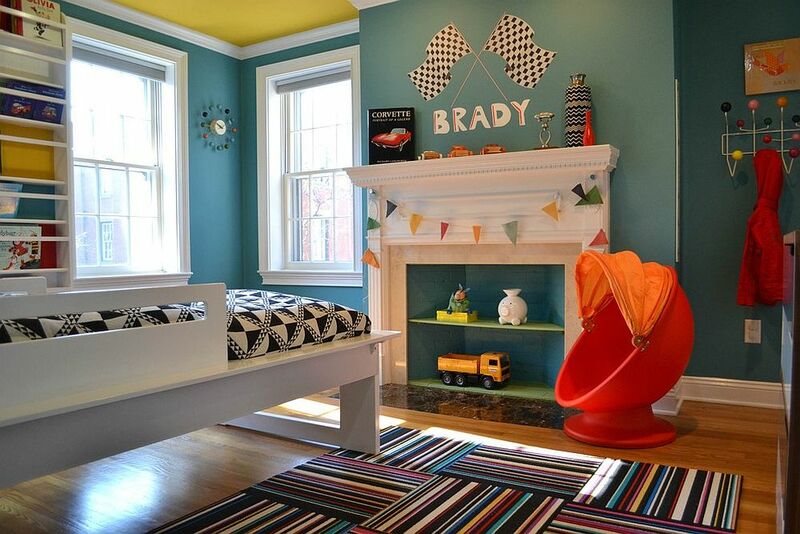 This sounds like too much color in one room, you say? 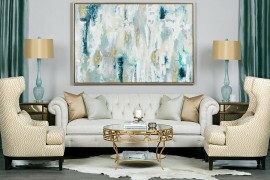 Not really, as the inspirations below showcase ever so elegantly! 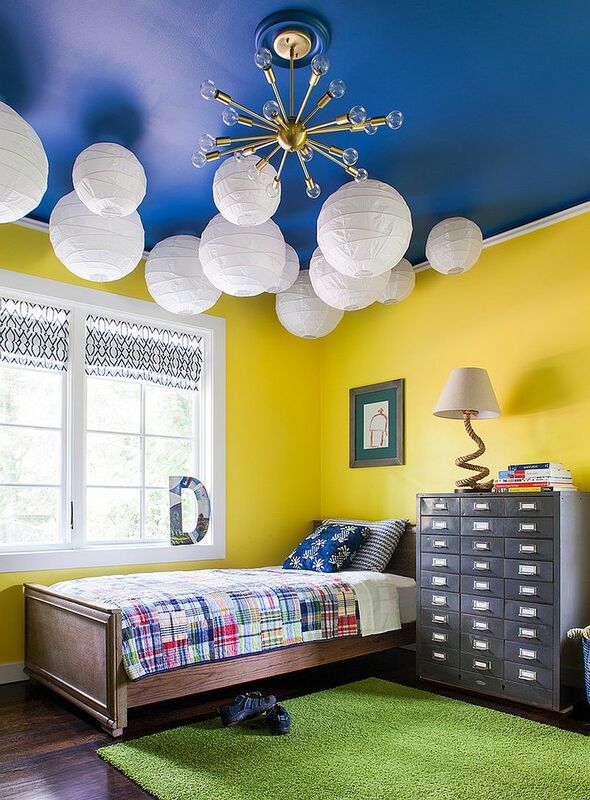 While combining blue and yellow with a splattering of red might seem a bit overwhelming in theory, the three colors seem to work in perfect harmony when used intelligently. 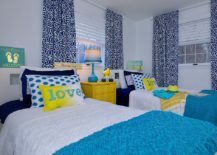 Again, blue is the dominant hue in this trio and is generally the color that feels the most natural for crafting the backdrop of the bedroom. 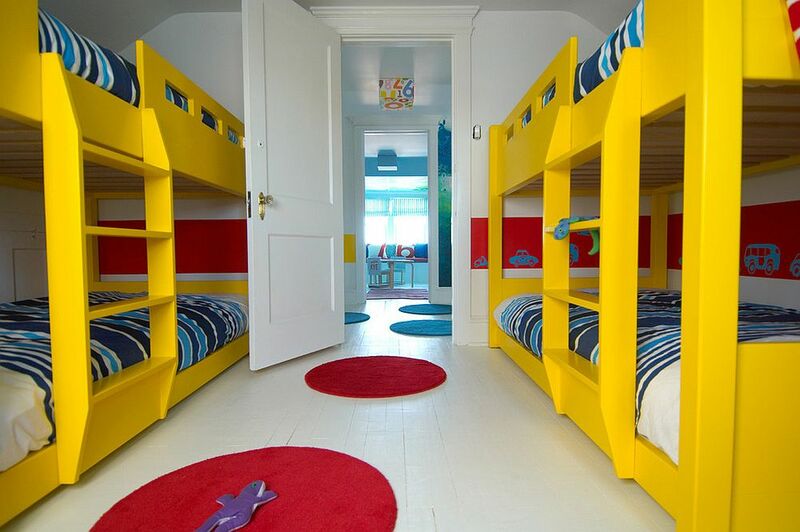 Yet, a mellow and calming shade of yellow can also take over in traditional boys’ bedrooms. 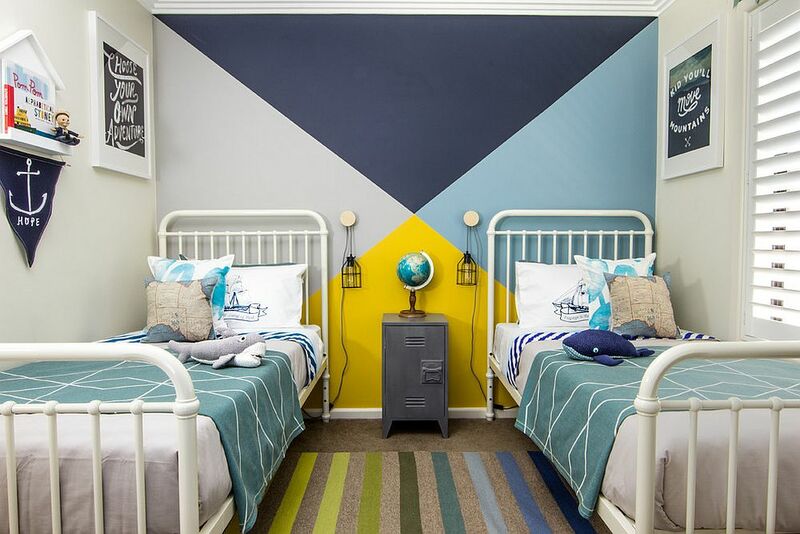 The idea here is to create ‘pockets or blocks’ of color without one invading the other. 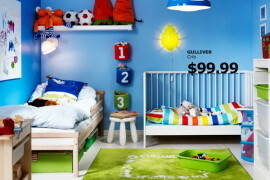 And those unhappy with audacious red can try out spunky orange instead! 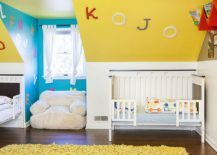 Blue is arguably the most popular color in modern nurseries, and experts suggest that it indeed is one of the best colors to use in such a setting. 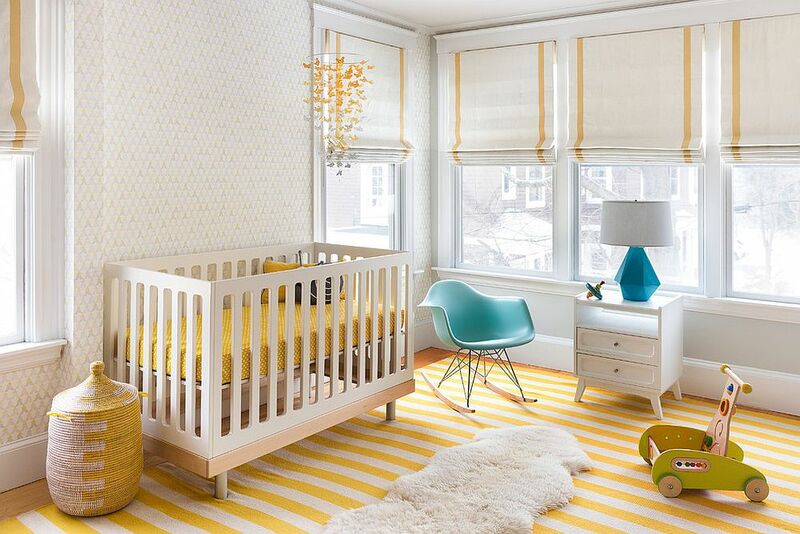 A combination of calming blue hues and attractive yellow shades will grab the attention of the tiny tot visually, even while creating a relaxing space that lets him get plenty of sleep. 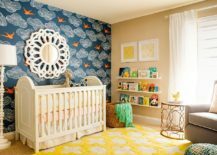 Wallpaper, rugs and drapes are the easiest way to add color to a neutral nursery, and if you love the idea of yellow and blue, you can commit to it more permanently by turning to paint.